Smartphone cameras are professional digital camera for your pocket. You can click best of photos with it. The newer cameras are so proficient that you only have to change its settings and click pictures in any kind of lighting or place. When these cameras aren’t enough in themselves, they are seamlessly supported by related apps. Plenty of camera and photography apps have been made available now (which are mostly free). And to add on that, there are abundant photo editor apps as well. Even if your photos aren’t clicked perfect, you can edit them. But the question is which app to choose? Which is the best app for you? Or rather, which one does offer something different than others? To help you out, we have listed 10 best photo editor apps on Android, that you’d find worth downloading. From scratch to super amazing, you can transform your photos like this with Snapseed photo editor. Developed by Google, Snapseed is one of the best photo editor app available out there. The app has 25 tools and filters to enhance your photos, including Tune image, Details, Perspective, Healing and lot more. Aviary is another great android photo editor available. In addition to the basic functions, this app also let you create your own memes. You can also balance color of your photos, sharpen and blur them with Aviary. Developed by Aviary Inc., this app is rated with 4.4 stars by users. This is another best photo editing app for Android. VSCO not only offer you image editing, but also a profile to showcase you image, let people follow you and let you follow people all around. You can edit images with its editor and also discover best of images around. Developed by VSCO photography, this app is again rated with 4.4 stars by users. Prisma has a whole new set of filters and effects. You just have uploaded your photo to this app and it will do the rest of the work. Its editing is influenced by modern arts and hence its filters are all new and different. Developed by Prisma Labs, Inc., this app is rated with 4.2 stars. Photo Lab Picture Editor FX is another app our top 10 list. It has all the basic Image editing features and also different collages, face photo montages and photo frames. The app is easy to handle and great with its effects and filters. Developed by VicMan LLC Photography, this has managed to acquire 4.4 stars from users. It brings to a photo editor, selfie camera, collage maker and also let you share it with others. With its photo editor, you can create mirror photo, add filters, text, color splash and lot more. While its collage maker. While its collage maker, lets you make collage in hundreds of layouts and adjust inner and outer frames. Developed by Aurona Photography, this is rated with 4.5 stars on Google Play Store. It is the perfect app you need for your photos. It has got artworks, collage maker with hundreds of layouts, frames, amazing filters, face effects, advanced retouch, selfie enhancer and lot more. It’s an easy-to-use and well-equipped app to edit photos. Developed by Fotoable Inc., it is rated with 4.4 star by users. This has got amazing editing tools. You can adjust photo tone with brightness, darkness, exposure and contrast sliders. In addition to all this, this photo editing apps also let you remove any object from your photo seamlessly. Developed by CyberLink, this app is been rated with 4.5 stars by users. You can your photos perfect with this app. 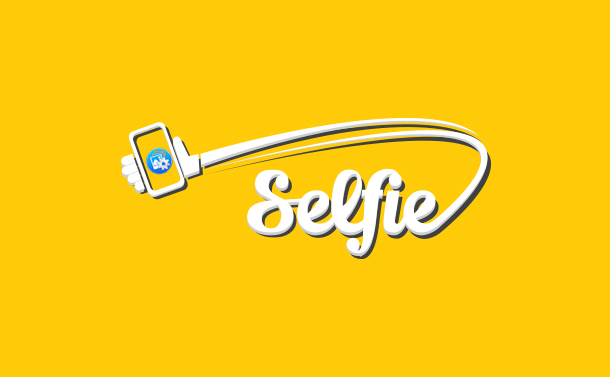 This app has got all the features to enhance self-photos. You can remove spots from your face, re-shape your face, and brighten eyes and lot more. Developed by Meitu Technology, this app is rated with 4.7 stars. Unlike others, Noise Reducer Pro lets you remove all sort of distortion from your photos in instants. The app has three levels of noise reduction: Light, Medium and Custom. Pictures clicked even in low lightening or with inappropriate settings can easily be made perfect ones with its smooth slider. Developed by Systweak Software, this app is rated with 4 stars on Google Play Store. These 10 best photo editing apps can transform your not-so-good photos into absolute stunning ones. Get the best one for you and enhance all your pictures.